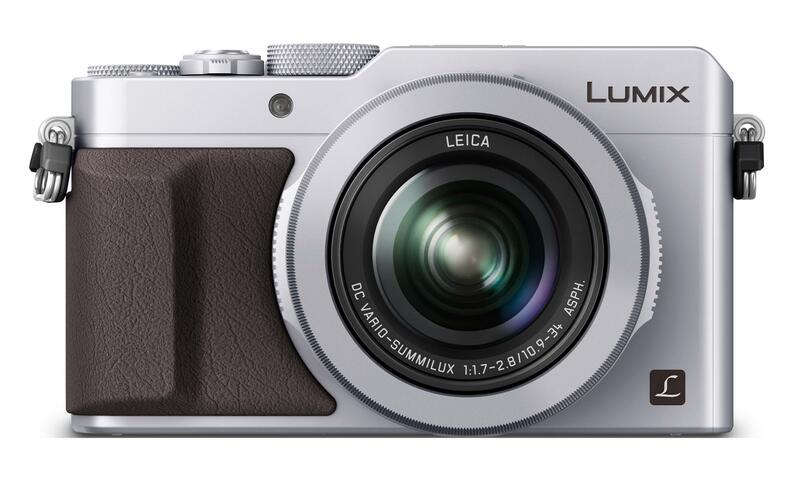 Legendary LUMIX LX Series with manual controls -- Designed to Inspire Creativity. 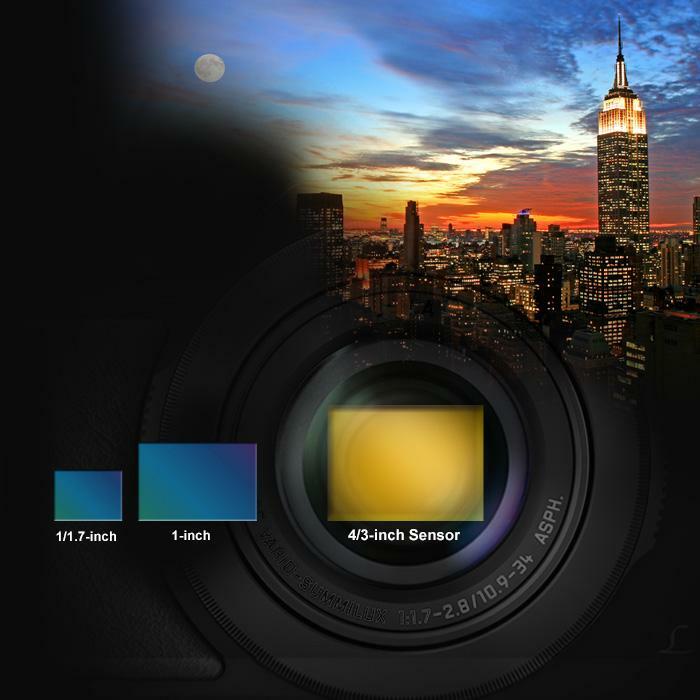 24-75 millimeter Leica DC lens (F1.7-2.8) for a desirable Bokeh defocus effect. Clear and stable framing thanks to eye-level EVF (2,764k-dot). Full hybrid photo experience with 30p 4K Ultra HD video and 4K photo mode. It''s now more rewarding than ever to render smooth, seamless gradations and rich, fuller textures in all their natural beauty. 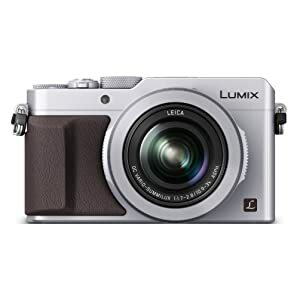 To help capture subtle details and nuances the LX100 incorporates a large 4/3-inch High Sensitivity MOS Sensor with multi-aspect ratios. By maintaining resolution at 12.8-MP* (in 4:3 setting), the volume of light is controlled to improve the S/N ratio, making it possible to create clear, detailed images with minimum noise. Even when shooting at ISO25600. With a simple switch on the lens barrel, it''s easy to select and set three aspect ratios. 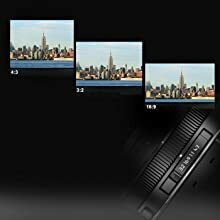 This quick, convenient function makes it possible to confidently record images in the 4:3, 3:2 or 16:9 aspect ratio with the same angle of view. 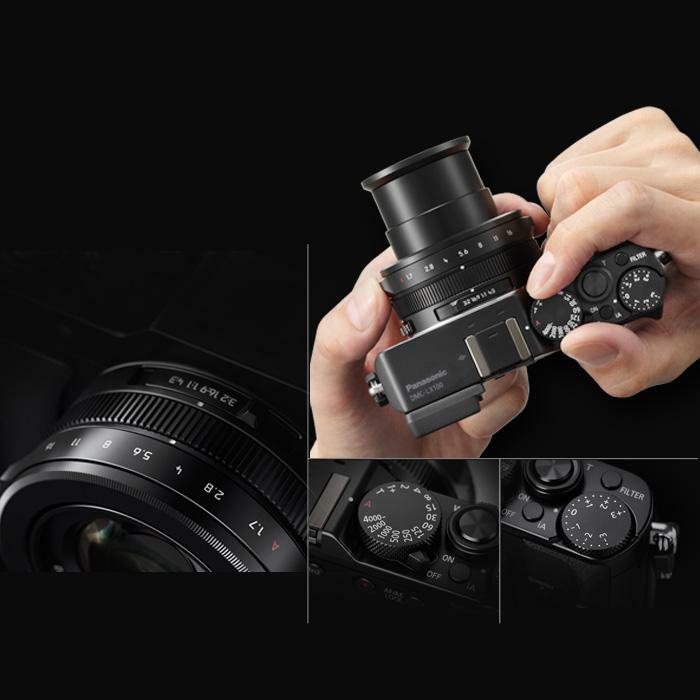 With F1.7-2.8 brightness, high speed and crisp detail corner to corner, this sophisticated LEICA lens system is the perfect complement to the camera''s compact body, and the key to innovative imaging. This precision lens unit consists of 11 elements in eight groups with five aspherical lenses — including two ED lenses. 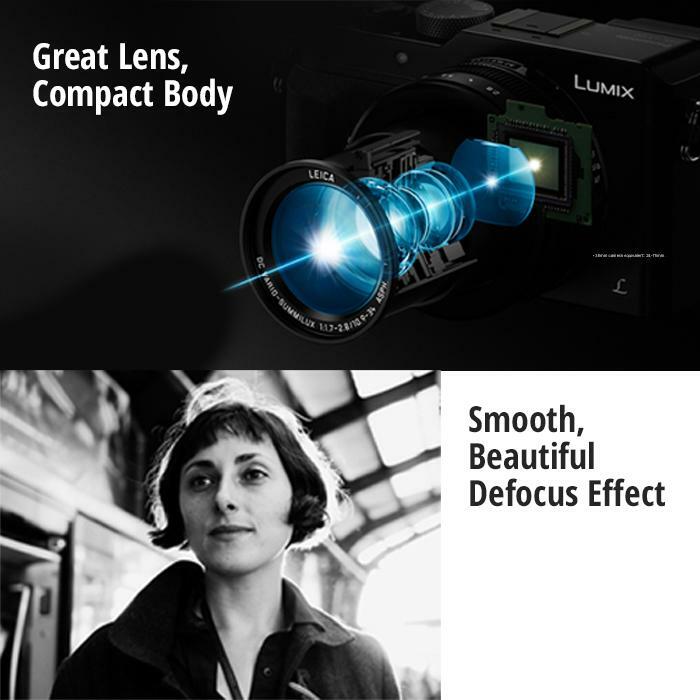 These lenses, together with a space-saving drive range, work seamlessly with Panasonic''s original centering technology to enhance alignment sharpness. Smooth, Beautiful Defocus Effects: When combined with the large, high-sensitivity MOS Sensor, this lens configuration gives images a shallow depth of field with an impressive defocus effect featuring invisible edge lines and onion rings. And a newly adopted nine-aperture diaphragm helps produce breathtaking bokeh effects with smooth, circular shapes.